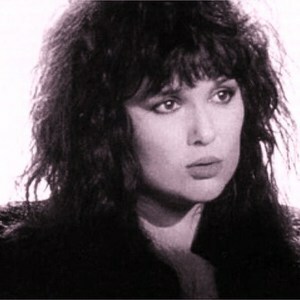 Ann Dustin Wilson (born June 19, 1950 in San Diego, California) is the lead singer and flute player of Heart. In 2006, Ann began recording her first solo album, Hope & Glory, produced by the legendary Ben Mink, and released by the Rounder (Zoe) Music Group on September 11, 2007. Hope & Glory features guest appearances by Elton John, k.d. lang, Alison Krauss, Gretchen Wilson, Shawn Colvin, Rufus Wainwright, Wynonna Judd, and Deana Carter. Ann's younger sister, singer/guitarist Nancy Wilson, also contributed. In 2006, Ann began recording her first solo album, Hope & Glory, produced by the legendary Ben Mink, and released by the Rounder (Zoe) Music Group on September 11, 2007. Hope & Glory features guest appearances by Elton John, k.d. lang, Alison Krauss, Gretchen Wilson, Shawn Colvin, Rufus Wainwright, Wynonna Judd, and Deana Carter. Ann's younger sister, singer/guitarist Nancy Wilson, also contributed. Live At The Belly Up: The Ann Wilson Thing!